Not quite the comeback she was hoping for. 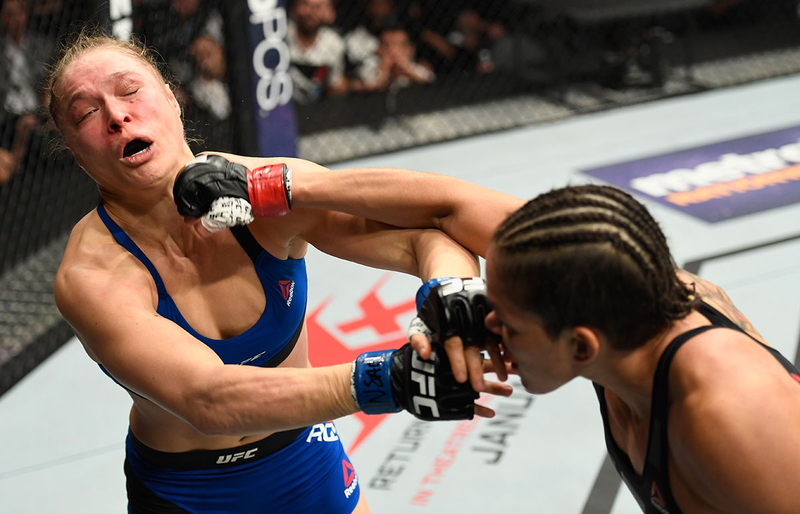 Ronda Rousey was knocked out just 48 seconds into her much-anticipated UFC 207 fight on Friday, December 30, with her opponent, Amanda Nunes, taking to social media to gloat about Rousey’s quick loss. The night was billed as Rousey’s triumphant return to the ring after a shocking loss to Holly Holm last November, but the 29-year-old athlete was taken off-guard by Nunes’ quick fists at the Las Vegas event. Nunes, 28, started off the first round with a big right and from there continued to throw punches at Rousey, who was overwhelmed by her opponent’s aggressive start. According to Yahoo Sports, Nunes landed 23 of the 35 strikes she threw within those first 48 seconds. About an hour after her stunning win, Nunes posted a Photoshopped image of herself and Rousey to Twitter and Instagram. In it, her face is superimposed on a mom walking a stroller and Rousey’s angry face is superimposed on the toddler in the stroller. While she pushes the stroller with one hand, “Nunes” shows off the championship belt in the other. 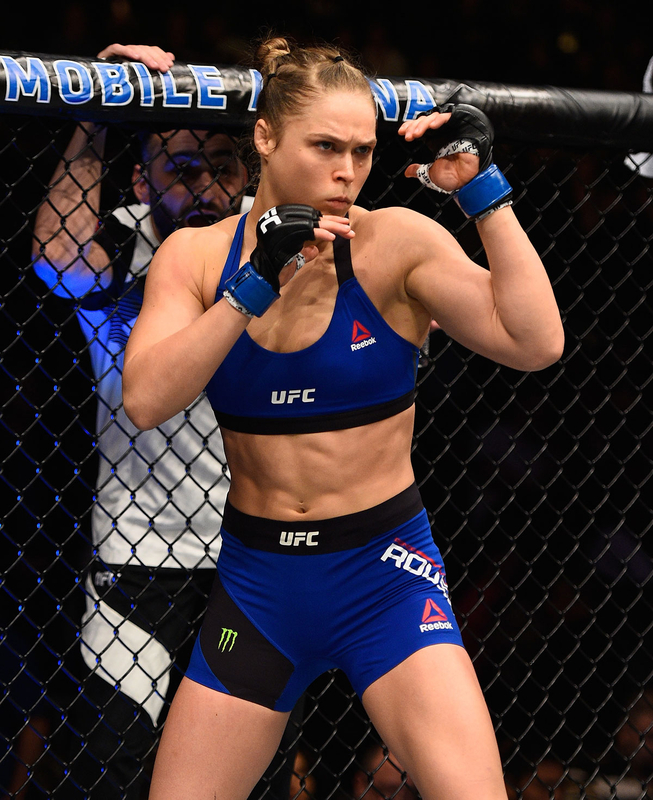 Last November, Rousey broke her winning streak with a now-notorious loss to Holm in a UFC 193 match in Australia. This past February, she told Ellen DeGeneres that she even contemplated suicide following her defeat. "Honestly … I was, like, in the medical room, and I was down in the corner,” she said of what happened following the fight. “I was sitting in the corner like, &apos;What am I anymore if I’m not this?&apos; And I was literally sitting there and thinking about killing myself. In that exact second I’m like, &apos;I’m nothing, what do I do anymore? And no one gives a s–t about me anymore without this.&apos;"
Rousey added that it was her boyfriend, Travis Browne, who helped give her the will to go on. "To be honest, I looked up and I saw my man — Travis was standing up there — and I looked up at him and I was like, &apos;I need to have his babies. I need to stay alive.&apos; Really that was it," she revealed. "I haven’t told anybody that. I think I only told him that. But that was like what I was thinking. I was meant to have him when I was at my lowest. I don’t know if I would have made it without him."